We are long time friends of Marti Kheel, who worked with her as activists in the organization she co-founded, Feminists for Animal Rights and collaborated with her in creating ecofeminist theory sensitive to other animals. We have joined together to create this statement remembering Marti Kheel because this effort represents the kind of work she always believed in—collective and supportive. We each have lost a dear friend, and we mourn the loss of that friendship. But, we created this remembrance because we believe honoring the importance of her singular life and work is essential. Marti Kheel was one of the pioneers of the radical cultural feminist approach to animal ethics now known as the feminist ethic-of-care tradition. Her groundbreaking article "The Liberation of Nature: A Circular Affair" (1985) critiqued both the rationalist bias in Tom Regan's "animal rights" and Peter Singer's "animal liberation" theories, on the one hand; and on the other, the hierarchical dominative bias in the environmental ethics of Aldo Leopold and J. Baird Callicott. Instead, Kheel called for "a female mode of ethical thought," which fused reason and emotion and was rooted in a personal sense of loving, caring connection with all life-forms. 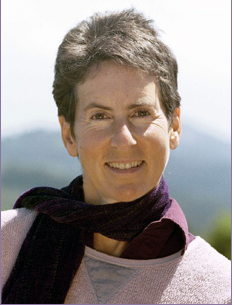 In 1989, Marti published "From Healing Herbs to Deadly Drugs: Western Medicine's War Against the Natural World," a powerful critique of the Western scientific view of the body as inert object, of medicine as a "war" on disease, and of the drug industry for its cruel use of laboratory tests on live animals, its corrupt promotion of dubious products, and its for-profit motivation. In "Ecofeminism and Deep Ecology" (1990), Kheel extended her critique of Leopoldian environmentalism and its macho valorization of hunting--an analysis she continued to devastating effect in "License to Kill: An Ecofeminist Critique of Hunters' Discourse" (1995). In 2000, she completed her doctoral dissertation at the Graduate Theological Union, writing “An Eco-feminist Critique of Holist Nature Ethics: Attending to Non-Human Animals.” Marti was a careful, meticulous writer. As she had already done the work of writer, editor, and copy editor, her contributions to anthologies were always delights to edit. 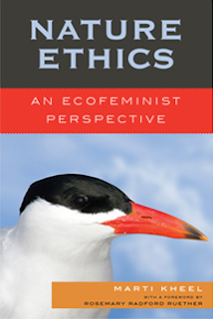 Thus, keeping to her high writing standards, it was over a several year period that she converted her doctoral dissertation into her stand-alone volume: Nature Ethics: An Ecofeminist Perspective (2008), a substantial articulation of ecofeminism, environmental theory, feminist thought, animal liberation, and eco-theology. The importance of Marti’s contributions to ecofeminist philosophy cannot be overstated. She brought active critical attention to standard masculinist approaches to other-than-human animal liberation philosophy by pointing out the overly rational and isolating perspective it so often took. She focused her keen eye on environmental philosophers, including some ecofeminist philosophers, who while attending to whole systems and relations, generally ignored the lives of individual animals--other-than-human beings who have families and friends and who suffer horribly not only by our actions but through our willful neglect. Marti’s ethic was one of active, engaged, empathetic care, not selfish or selfless care-taking. And while she was critical of many, her compassion always extended to them. She was a genuine philosopher, a lover of wisdom, of learning, and of debate. In true feminist form, her philosophical vision sought to challenge aspects of our common ways of thinking about ethics, even those that don’t immediately appear to emerge from masculinist assumptions. Since her earliest work, Marti’s scholarship drew on connections and brought out new possibilities for living more harmoniously with the movements of the natural world. Throughout her writing Marti advocated a nonviolent, emotionally responsive, holistic, and nondominative ethic by which humans may live in harmony with nature and nonhuman creatures. As an activist, Marti also advocated and lived according to this nondominative ethic. In the early 1980s, she joined with others to start a small study group, where they formulated the philosophical and theoretical underpinnings of Feminists for Animal Rights (FAR). From its beginning, and with Marti as a central figure, Feminists for Animal Rights challenged the views that animals are undifferentiated. Marti Kheel at the first March on Washington for Animals. Marti stands, smiling, above the FAR image on the banner. 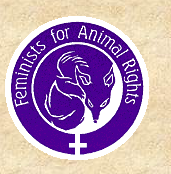 FAR situated itself on the boundary between the animal rights/liberation movement and the feminist movement—reaching out to activists to highlight the connections between these movements: raising consciousness, advocacy, tabling at meetings and conferences, conducting workshops, letter writing, and the publishing of the FAR Newsletter. There, Marti explored the loaded issues that often still confound these organizations—sexist images in the animal rights movement and the presumption in the feminist movement that animals are ours to use and consume. Promoting veganism was central to the activism of Feminists for Animals Rights, as it was in Marti’s writings and her life. 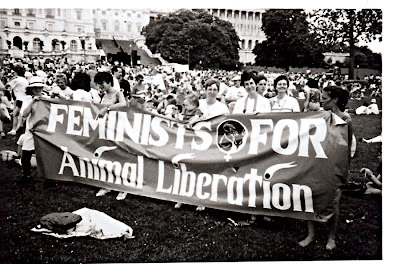 Through the FAR newsletter, ideas formulated by Marti and others reached into both the feminist and the animal advocacy communities in this country and throughout the world. Before any state passed legislation to incorporate companion animals in orders of protection for battered women, before leading humane and animal advocacy organizations recognized the connection between harm to animals and domestic violence, FAR developed a program of foster care for companion animals of battered women. At animal rights conferences, FAR would sponsor conversations for women to discuss their experiences. Marti was always there, listening, supporting, making arrangements to talk further. Her compassionate life, like her work, was fully engaged; she didn’t just theorize about non-violence and care, but she lived and died by those values. This remembrance is only the beginning in what we expect to be other acknowledgements of her legacy that insure her visionary achievements are not forgotten. Next November 9-10, 2012, there will a conference in honor of Marti’s work at Wesleyan University in Middletown, Ct. This obituary was written collectively by Josephine Donovan, Batya Bauman, Lori Gruen and Carol Adams. thank you so much for writing this up. marti was a huge influence in my life and my activism and awareness. she was so brilliant, humble and kind. marti's death is such a profound loss for the planet, and all of us in this work. i pray she didn't suffer in her illness and that she was surrounded by love when she died. and i hope she knew how much she meant to all of us. The debt that nonhuman animals, human women and human men owe Marti Kheel is too vast to ever be described. She was one of those rare individuals of whom it can be truly said that the world is a greater place because she was here and a lesser place because she has moved on. I only met her once in person, many years ago. But she is with me constantly in her writing. I had no idea Marti Kheel was ill. I am so sorry to learn that she is no longer with us. Marti was a friend and a colleague in the fight for justice and compassion for animals of all species. I will miss seeing her at conferences and hearing her speak. I have deep and lasting gratitude and respect for Marti’s feminist perspective and teachings. She was a pioneer in the most progressive sense. I will miss Marti both professionally and personally. The news of her untimely death is devastating to me and for all of us. Wow, I had no idea she was ill. We just spend time together at the International Vegan Festival in June and she was so engaged and active. Just another example of her focus and strength. We'll miss you, Marti. I was so saddened to hear about Marti's passing. I remember first learning about her work when I stumbled upon the FAR website when doing research into feminism and animal rights. I would love to see FAR become an active organization again but the spirit of FAR lives on thanks to the wonderful writings Marti leaves behind. I am grateful to have known Marti -- grateful that her memory as a friend will live on in the hearts of so many, and grateful that her extraordinary intellect and sense of compassion and justice and activism will live on forever in her published writings. Marti leaves a big, beautiful mark on this world that advances how people view and treat animals and nature. Thank goodness for her life, her wonderful heart and mind, and her work. Marti was always very supportive of IPPL's work. I started as a rather lonely woman in animal work (in 1973) and recall a profesional fund-raiser telling me IPPL would fail unless I got a "man on top." You don't hear that much any more! It's thanks largely to groups like FAR. Marti was always super-supportive of me and has been an inspiration to countless movement women. In addition she was a warm and friendly person with a beautiful smile that lit up any room she entered. Goodbye, dear friend. Marti's influence -- indeed, the impact the authors of her tribute -- is considerable on my development and understanding of animal ethics, which I'm truly grateful for. Ecofeminism continues to challenge my assumptions and make me think and feel differently about what we mean we talk about our relations with animals. Marti's book is an essential part of this discovery. With love, Doris + Harald (from International Vegan Festival Malaga, June 2011). Thank you so much for this touching tribute. I met Marti when she did a benefit slideshow for Stop Huntington Animal Cruelty back in 2002. And became closer friends with her when I invited her to do the slideshow again at San Francisco State University in 2008. I was new to academia, and felt terribly burdened studying the animal justice movement within a resistant institution. She took me under her wing and as a mentor helped build my confidence when I started my PhD studies. This is a devastating loss, but through all of us her work will remain. Marti, your voice will live on. Thank you for posting this wonderful description of Marti's work and her life. She meant so much to so many. A loving, kind, patient person as much as a scholar and activist. Such a joy to be with, always. My friend. I was so privileged. I visited this lovely memorial site last year, and made a page long comment that I didn't end up posting. I still feel like nothing I could possibly write here would adequately express my sadness at Marti's passing, or my gratitude for how deeply her work in the world has influenced my own. I'm looking forward to attending the conference at Wesleyan in November in commemoration of this remarkable woman whom I will hold in my heart forever. Thankyou Marti for supporting me as a grassroots ecofeminist activist, for your boundless compassion, courage and brilliance. You will be forever missed. Blessed Be.